COOKEVILLE – A joint investigation by Special Agents with the Tennessee Bureau of Investigation, the Office of the 13th District Attorney General, and the White County Sheriff’s Department has resulted in the arrest of a Sparta woman charged in the shooting death of her husband. At the request of 13th District Attorney General Bryant Dunaway, on July 20th, TBI Agents joined deputies with the White County Sheriff’s Department and investigators with the District Attorney’s office in investigating a shooting death that occurred at a residence on Woodland Trail in Sparta. When deputies responded to a 911 call that morning, they found Domenico Iraggi (DOB 11/28/1940) deceased with a gunshot wound, and his wife Patricia with a gunshot wound to her face. Patricia was transported to a Chattanooga hospital for treatment. During the course of the investigation, Agents developed information that Patricia was the individual responsible for the shooting death of her husband. On Wednesday, Patricia Iraggi (DOB 07/20/1945) was arrested and charged with one count of First Degree Murder. 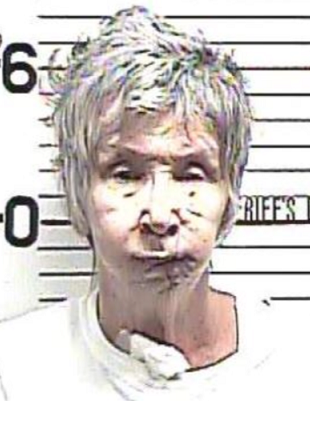 She was booked into the White County Jail on a $300,000 bond.